Offshore West Africa is the Pennwell brand for this event and you have been running it for 20 years now, what has been your story so far? The last 20 years has been quiet a success especially in the challenging markets place that we find ourselves today. The success has always been seen in the feed backs that we get from our exhibitors, visitors, and delegates – they keep on coming back, which means we must be doing something right. And I think we have facilitated a lot of opportunities, be it business to business, be it opportunities to cooperation, the opportunities to learn and gain insights, and to develop organisations. As you mark your 20th anniversary, what special thing are you going to add to the event’s line up in order to spice up the celebration? We have a few different things which we are going to be undertaking at the event to celebrate that. We are going to have a reception period for which we are inviting about 150 guest to come and celebrate our 20 years of success at the event. We are going to continue to do what we have been doing for the past 20 years, and as I said before it is all about understanding the objectives of stakeholders. So we’ve got new programmes like the youth empowerment programme which we launched last year and has now tripled in size where we have up to 300 participants now. All the facts and figures show that we are actually going to be twice as big as we were last year. To be honest with you the event is going to be focused, to ensure that we deliver another great event and provide an opportunity for our partners to get success on their return on investments. Going forward what are your plans? Are we going to see an Offshore West Africa that involves other West African countries? I think the event always focuses on West Africa, one of our key objectives is to continue participation from all West African countries – Ghana and other countries, that is something me and my colleagues will be working on in the next 12 months to increase the cooperation. In addition to that as the West African market continue to be an exciting market place, you will also see more of international pavilions. So we have the Scottish International Development partner here which will bring in 17 companies from Scotland who has interest in doing businesses over here. We believe from the conversations that we are having that you may start to see 2-3 international pavilions. With the current situation of oil prices, what do you think should be the role of OWA in developing the West African oil sector? The key role is the facilitation of opportunities for people to come together to collaborate, e-learn, and I think Offshore West Africa will always play a significant role in the market place to provide these opportunities. What motivated the increase in the number of participants in the youth empowerment programmes from what you had last year? We had significant interest last year 2015, last year was our first on the programme and what we did last year was the panelists’ exercises, we worked very close with the Energy Institute in London. This year because of the confidence we had in that we have been able to triple that figure, what we want to do is to ensure that we provide fantastic experiences for the students, we are looking at expanding it further and we are in talks with a number of organisations in Ghana about bringing in the Ghanaian element to the youth programme next year, but it is still at the stage of discussion. Does the fall in oil price affect your delegate fees and sale of exhibition booths? Of course it does, we put that into consideration in setting our price and strategy. What I would say is that our concentration has 2 tracks so that we have twice as many speakers as we had last year, very high profile and fantastic speakers from the industry who will share in their experiences so the price has to come down a little bit but in terms of the value for money people are getting, it is going to be twice as much in terms of speakers and conferences. 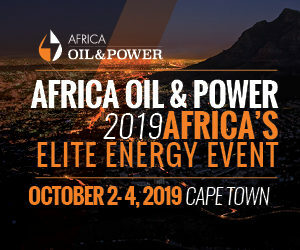 And in addition to that anybody who comes as a paying delegate will receive complementary membership from the Energy Institute, and the conference is CPD (Continuous Professional Development) endorsed which means that it contributes to the individual’s CPD.